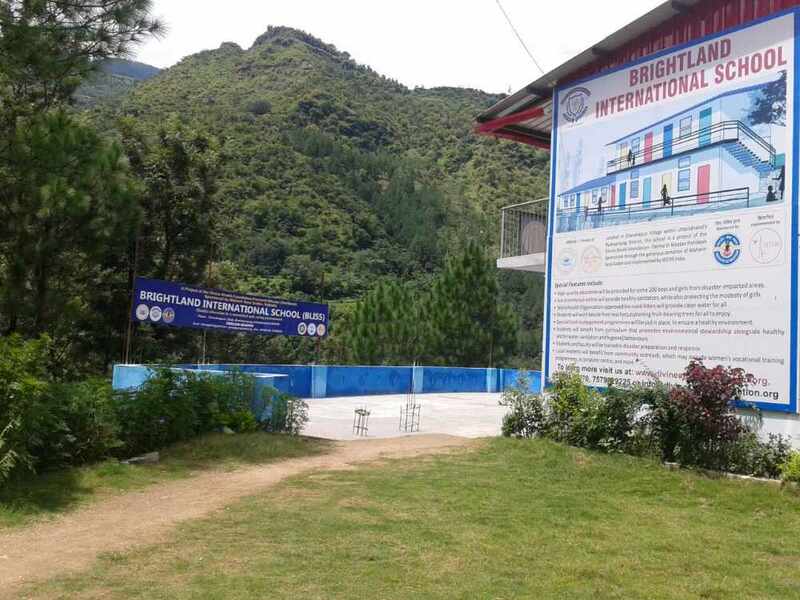 Brightland International School, which was completely destroyed in the floods of 2013, has been rebuilt by Divine Shakti Foundation and Parmarth Niketan, Rishikesh, led, guided, blessed and inspired by Pujya Swami Chidanand Saraswatiji. 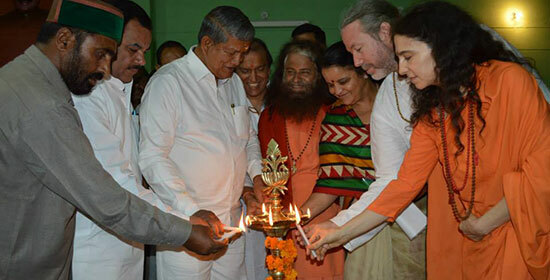 The new, eco-friendly campus was inaugurated on the 31st May by Hon’ble Chief Minister of Uttarakhand, Shri Harish Rawatji, Hon’ble Minister of Drinking Water and Education, Uttarakhand, Shri Mantri Prasad Naithaniji, Hon’ble Minister of Agriculture, Uttarakhand, Shri Harak Singh Rawatji with Pujya Swamiji and other dignitaries and guests. 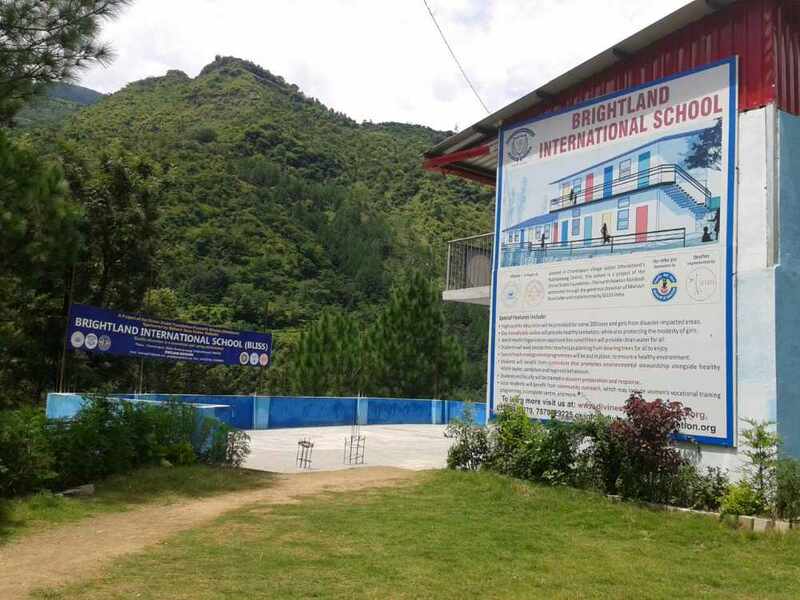 The newly-rebuilt school will serve hundreds of children within its beautiful campus. 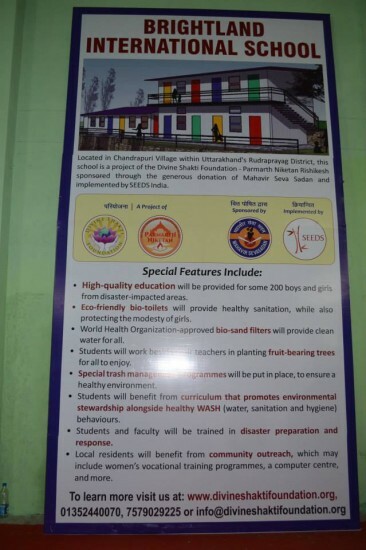 Among the unique features of the school are eco-friendly bio-toilets and WHO-approved bio-sand filters for clean water. 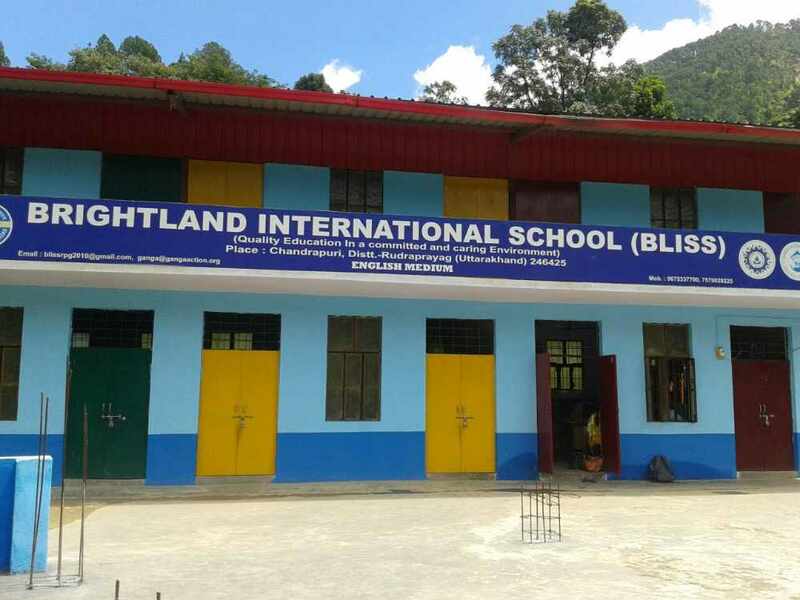 – WASH Education and Awareness Programmes: highlighting the importance of maintaining and improving clean water, sanitation and hygiene facilities not only in schools but in all communities throughout the Himalayan state as well as throughout India. – Disaster Management Training: proper disaster management training and drills with students and teachers will be carried out to ensure students and teachers are prepared in time of emergency. Additionally, there was the presentation of the Water, Sanitation and Hygiene (WASH) programmes, including fruit tree plantations, being implemented by Divine Shakti Foundation, the Global Interfaith WASH Alliance and Ganga Action Parivar in 11 other schools of the Rudra Prayag region. 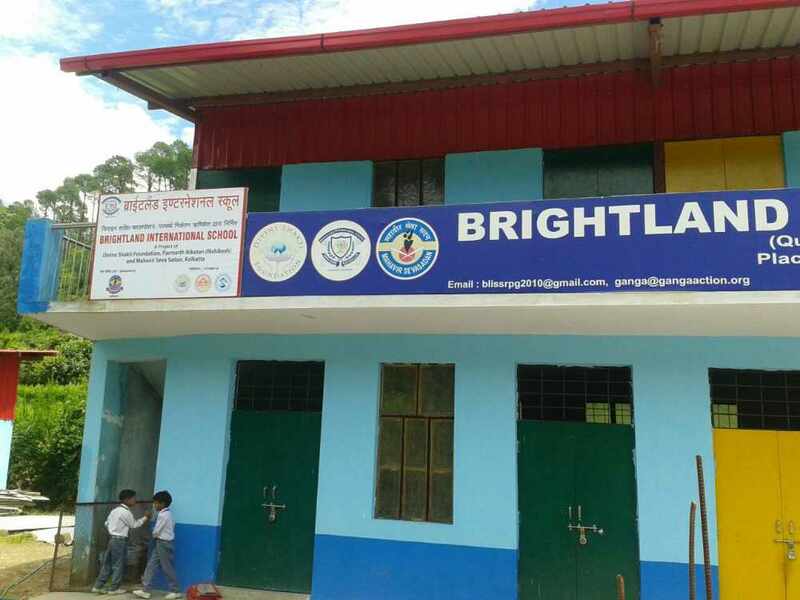 Divine Shakti Foundation’s project of building the Brightland School was generously supported by Mahavir Seva Sadan, Kolkatta and was implemented locally by SEEDS, India, led by Shri Manu Gupta, Director of SEEDS and his team. Divine Shakti Foundation’s sister organizations Global Interfaith WASH Alliance and Ganga Action Parivar will work hand in hand to implement and sustain the green programmes and activities mentioned above.